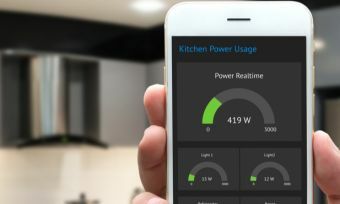 Every home and business connected to the electricity grid has what’s called a ‘National Meter Identifier’ (NMI). A NMI is a number that’s used by energy companies to match households to the right electricity account. While you won’t need to memorise your number, knowing the basics about NMIs and where to find yours will help you switch electricity retailers and make managing your bills online simpler. In this article, Canstar Blue covers everything you need to know about the NMI. What is the National Meter Identifier? The NMI is a unique 10 or 11-digit number given to every electricity connection in Australia. The number helps match properties with their energy account, ensuring that you don’t get billed for someone else’s power usage. Properties receive one NMI per connected meter. Therefore, if you operate a farm, business, shed, pumps or other sites that have separate metering, you will receive multiple NMIs. Why is the NMI important? While a NMI can speed-up the process of switching retailers, it usually won’t be necessary. If you want to change to a new electricity company, they can usually find your NMI themselves once they know your supply address. Where do I find my NMI? You can find your NMI on your electricity bill. It will usually be found in the top left hand corner on the last page of your power bill with the technical breakdown of your bill. See the example bill below. 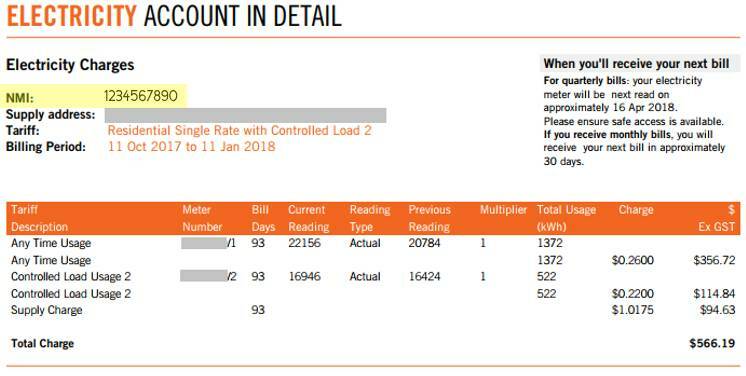 If you don’t have a copy of your power bill handy, contact your electricity retailer and they can help you find your NMI. It is important to understand that your NMI does not identify you as a customer, it identifies your electricity meter. This means that your NMI will change if you move house or if you demolish your connection and later reconnect. If you’re building a new house with a new connection, then you will need to contact your retailer for a new meter and NMI. Your NMI will not change, however, if you’re simply upgrading your electricity meter or your meter has been disconnected. A MIRN stands for Meter Installation Registration Number. In some states, this may instead be referred to as a Delivery Point Identifier, or DPI. A MIRN or DPI is a 10 or 11-digit number that operates similarly to the NMI, albeit for natural gas customers. The MIRN identifies a customer’s natural gas meter and is needed to organise gas connection works on your property. Again, it is useful, but not necessary, to have your MIRN handy if you’re switching gas companies. Like the NMI, you can find your MIRN or DPI on your natural gas bill. Alternatively, you can contact your gas company and they can help you find your MIRN.